A wide range of community performances focused directly on popular entertainment. 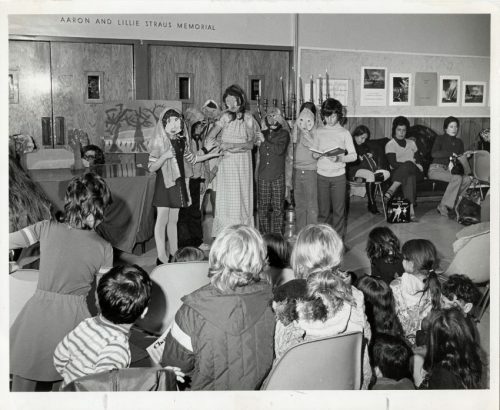 The Jewish Educational Alliance sponsored numerous clubs and groups that presented shows to the community. 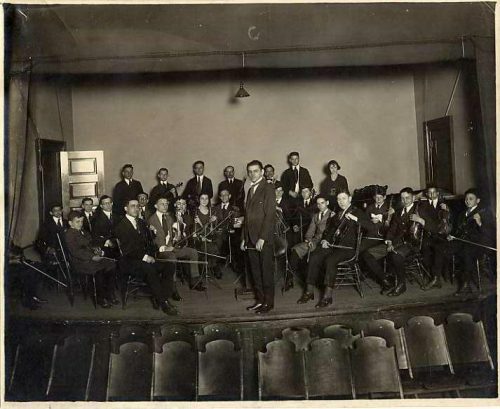 The JEA Orchestra, under the skilled direction of conductor Benjamin Klasmer, was organized in 1919 and for at least a generation was a major musical force in the community. Members of this early youth orchestra later joined the Baltimore Symphony Orchestra and other professional ensembles. The JEA also sponsored the Maccabean Glee Club and the Meyerbeer Society, singing groups that helped to feed the nascent Civic Opera Company. 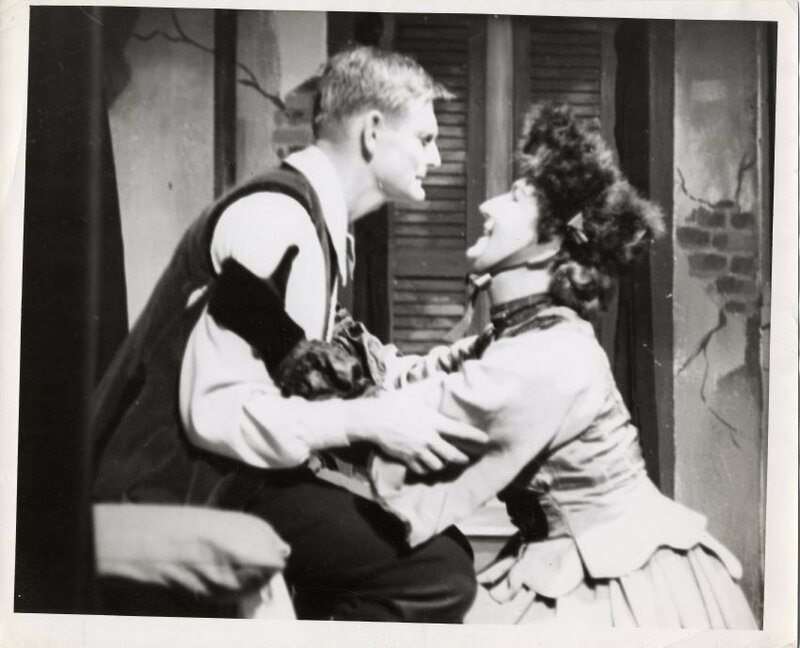 The Alliance Players, a JEA dramatics club, began productions in the late 1920s. Led by noted director Harry King, the Alliance Players met weekly to read and critique plays, practice their theatrical skills, and prepare for performances in the community. In 1933, the Alliance Players appeared in performances at the Jewish Educational Alliance auditorium on Lombard Street, and at City Hospital, the Madison Avenue Temple, the Bolton Street Temple, the Council on Jewish Youth, and the Methodist Church on York Road. 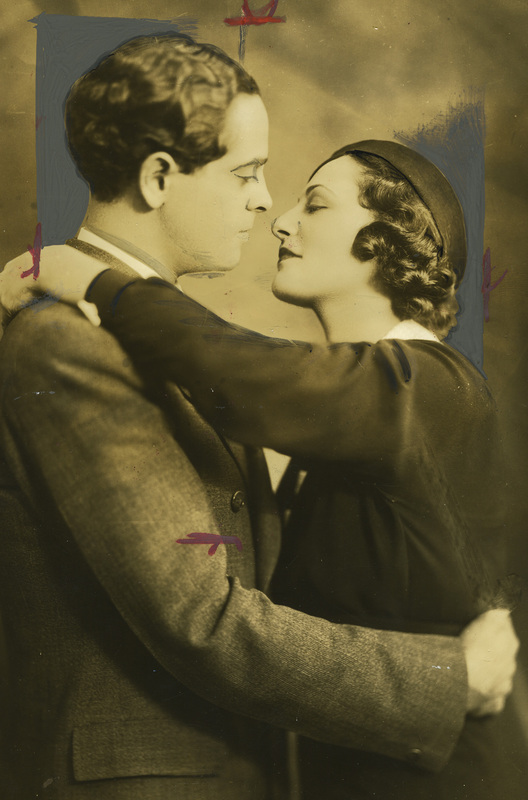 In addition to full seasons of one-act and full-length plays, the Alliance Players appeared on local radio for weekly broadcasts during the 1930s. The JEA sponsored numerous clubs, many of which also produced annual entertainments. 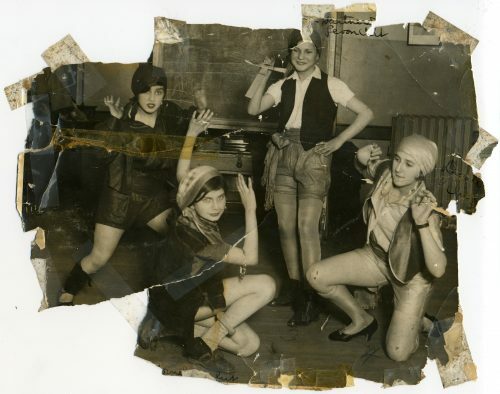 One such group, the Shoshanna Club, which was active in the 1940s and ‘50s, developed musical revues and minstrel shows. Their 1945 production, Git on Board, was described as an all-girl minstrel show replete with “Mirth, Melody, and Mischigas.” Some of these JEA productions were popular dramas of the day; others were written by local authors on Jewish themes; and still others were parodies or pastiches that dew on mainstream entertainments. 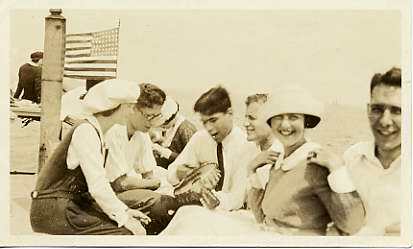 As former club member Rae Rossen put it, the club provided a “home away from home” that helped members to “grow culturally.” Whatever their provenance or form, these productions engaged Jewish youth in the challenging work of transitioning from a largely immigrant community in the early twentieth century to a primarily native-born, fully acculturated community by mid-century. Critic Marshall Fishwick has observed that “America is not so much a nation or a people as a search.” Community performances are markets along the path of the Jewish journey here in Baltimore. They affirm, challenge, and interpret the circumstances and values of generations and groups, mirroring experience and guiding future action. Community performances embody a collective imagery, reinforcing the communal identities of performers and audience alike. Associated Citizen, June 1933. 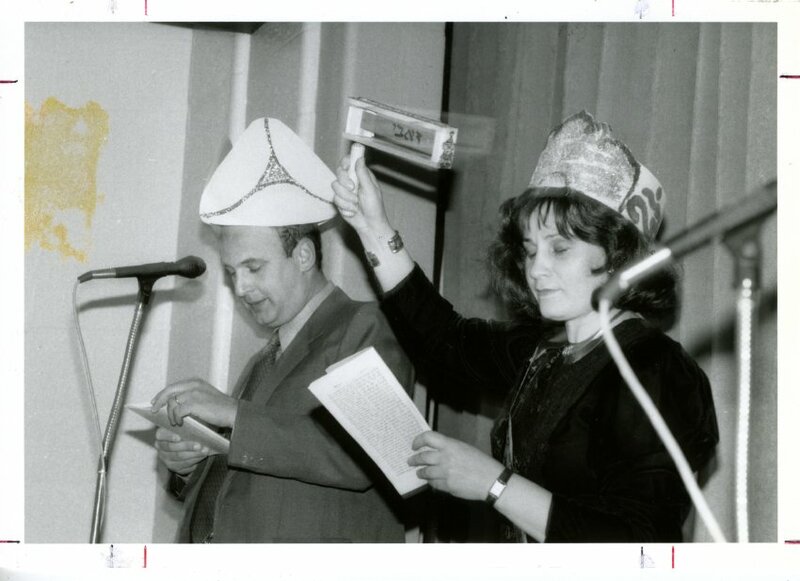 Courtesy of the Jewish Educational Alliance Archives (at the JCC, Owings Mills) and JEA Archivist Bernard Cohen. Telephone interview with Rai Rossen, July 5, 2003. Interview with Bernard Cohen, July 8, 2003. Glassberg, American Historical Pageantry, p. 282. Fishwick is cited in Ima Honaker Herron, The Small Town in American Drama (Southern Methodist University Press: Dallas, 1969), p. xvii. We hopped aboard and too a lesson from the pro. Going’s now our fav’rite thing. You are the reason that we glow. You gave us dignity and pride. You raised much money on the side. You as our president stood ten feet tall. This Associated Players’ performance is only one recent example in a long tradition of Jewish community performance. 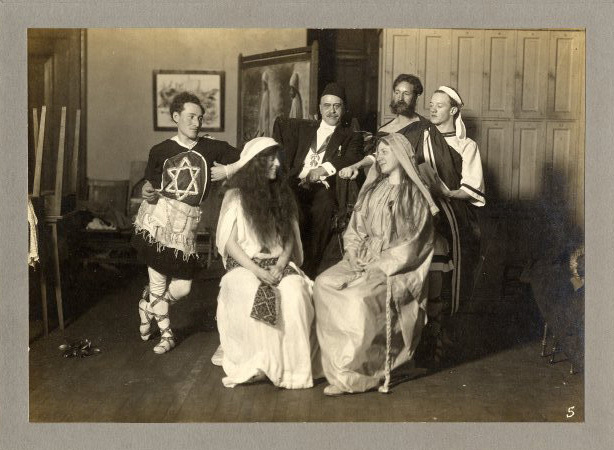 Back in 1922, for example, Baltimore Jews crowded Ford’s Theater to take in “The Passing Years,” a dramatized history of Jewish philanthropy from the 1850s to the 1920s written by Louis H. Levin, the executive secretary of the Associated Jewish Charities. The three-act play celebrated the then-new Associated – and the tradition of caring philanthropy within the Baltimore Jewish community. 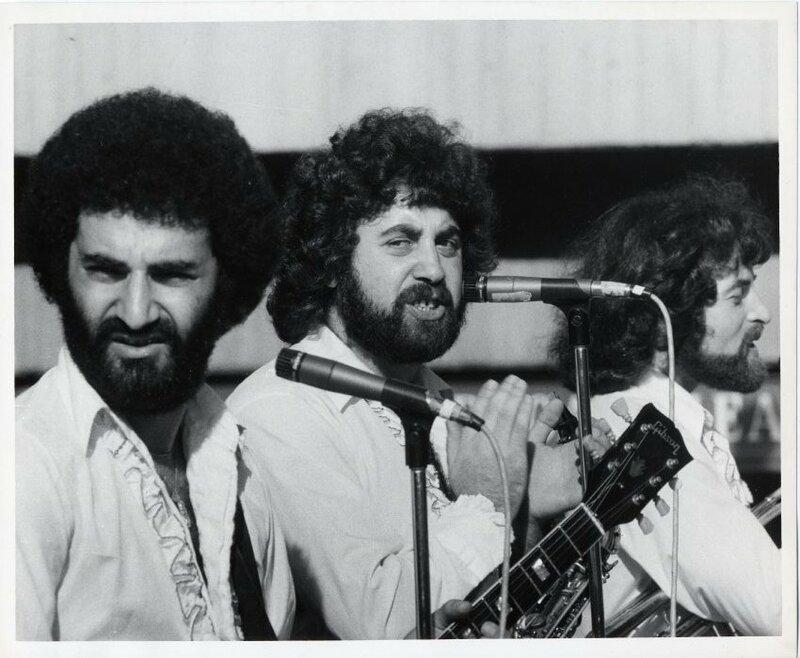 Performances by The Associated Players – and many other Jewish groups – resonate in varied ways. They express traditional Jewish values such as caring for others, reinforcing a sense of group cohesion and communal purpose. While reflecting a particular moment and circumstance, these performances also promote a course of action for the future, encouraging those assembled to adhere to Jewish ideals and to persist in their identity, philanthropy, and community commitments. In these ways, The Associated Players’ recent appearance is a paradigm of how diverse ethnic, religious, and cultural groups have engaged in “performing community” throughout the last century and more. 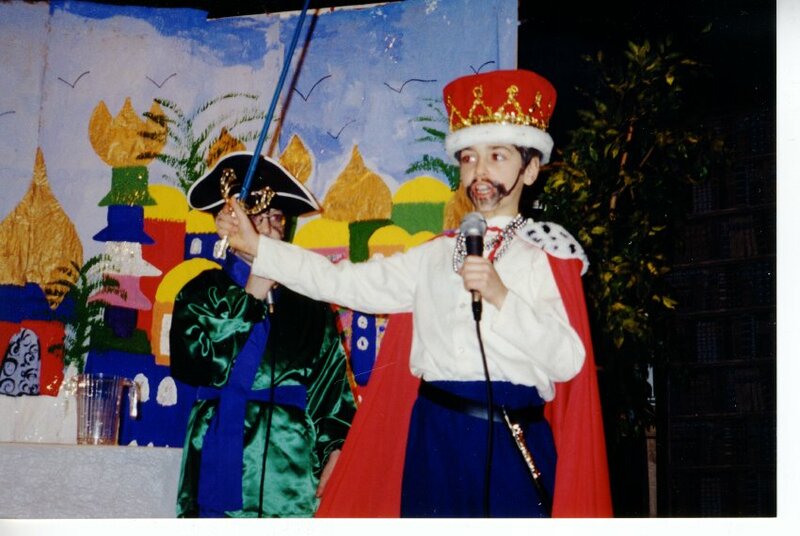 Community performances are commonplace, varied, and ephemeral, both within the Jewish community and among other groups. They take place in local schools, congregations, clubs, and agencies, and they appear in many forms – pageants and cantatas, dramas and spiels, musicals, revues, and shows. Some shows emphasize popular entertainment, others focus on moral education, and still others promote cohesion or commitment to a cause. Some are painfully amateurish, others sparkle with professional polish. But whatever their artistic merits and entertainment value, they transmit ideas and identities to and from the community. Despite their importance, community performances are rarely the subject of serious or sustained attention, except, of course, among the families of those directly engaged in a production. Yet these performances do have meanings: they are heightened moments in the cultural conversations that help to define distinctive communities, episodes in an extended discourse about what it means to be distinctive and American. Harry Greenstein, “I Remember…A Jewish Play That Packed Ford’s,” Baltimore Sun, November 18, 1956. David Glassberg, American Historical Pageantry: The Uses of Tradition in the Early Twentieth Century. (University of North Carolina Press: Chapel Hill, 1990). Rosemarie K. Bank, Theatre Culture in America, 1825-1860. (Cambridge University Press: New York, 1997), pp. 4-16, 19-22, and passim. See also David Krasner, A Beautiful Pageant: African American Theatre, Drama, and Performance in the Harlem Renaissance, 1910-1927. (Palgrave Macmillan: New York, 2002), p. 1-11 and Tejumola Olaniyan, Scars of Conquest/Masks of Resistance: The Invention of Cultural Identities in African, African-American, and Caribbean Drama. (Oxford University Press: New York, 1995), p. 4 and 139.